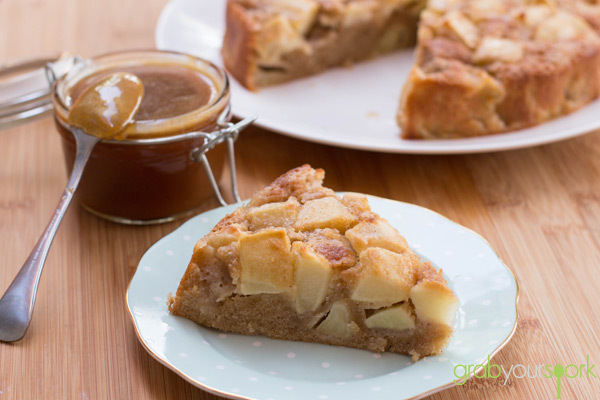 There is something that is so comforting about an a French apple cake – and especially one that is served with warm caramel sauce. Okay maybe the caramel sauce is a bit indulgent considering how delicious the cake is on its own. But if you are looking impress guests or simply feel like a treat, I definitely recommend making the sauce. 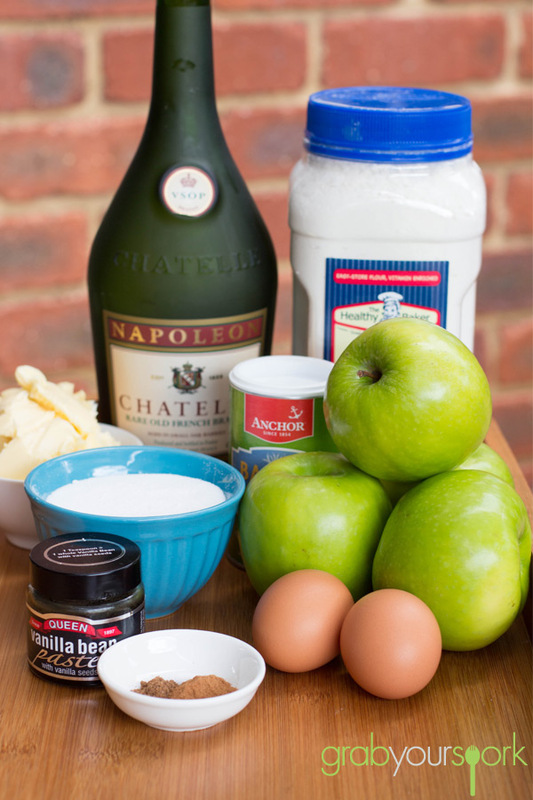 If you’re like me and love a classic then you will love this French apple cake recipe. 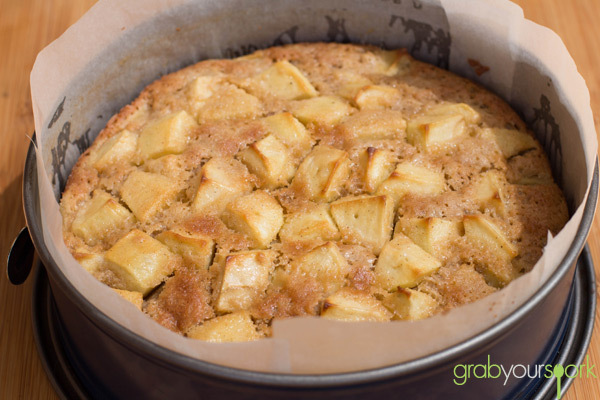 A simple apple cake recipe is a great recipe to keep up your sleeve as apples are something that are available nearly all year round in most countries. 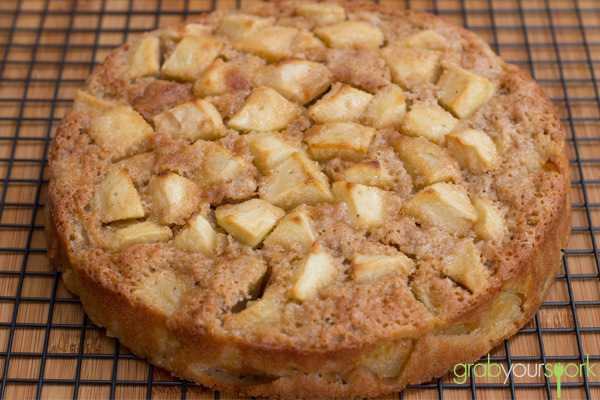 Brooke has a few go-to recipes up her sleeve already, however on the weekend she wanted to try something new and came across this delicious French Apple Cake. If I have my way this cake is definitely going to get added to that list. This recipe is simple and includes ingredients that nearly all households contain. Yes you may need to take a trip to the liquor store if you don’t have the brandy in your liquor cabinet. However I definitely recommend you add it as adds a nice warmth at the end of each bite and really completes the cake. The recipe comes together quickly, however you want to make sure you don’t over bake the cake. Simply check around the 50 minute mark with a skewer, and if the skewer comes out clean with no batter then your cake is ready. Be careful not to prick the apples as you go though. 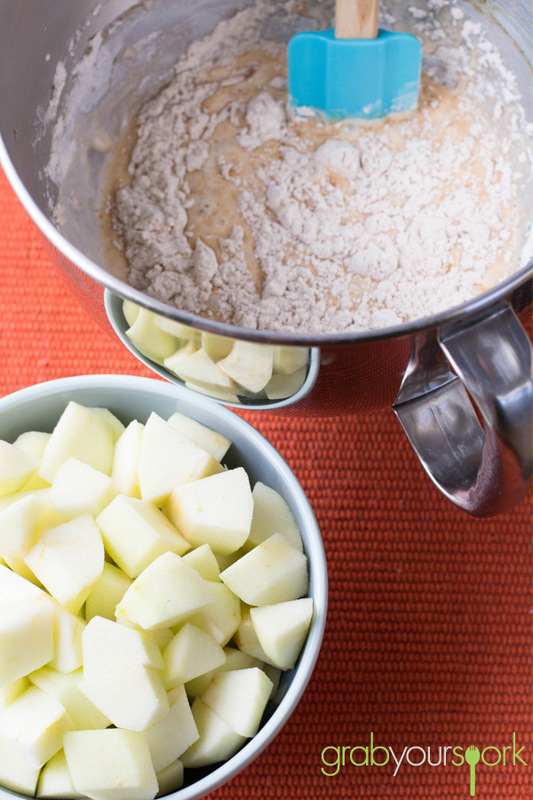 This simple French Apple Cake is incredibly easy yet simply delicious. Enjoy it with this elegant caramel sauce for an extra degree of indulgence. Preheat oven to 180 degrees Celsius. Thoroughly butter a springform pan. Stir half of the flour mixture to the egg mixture. Add half of the melted butter, stir, then add the remaining flour, followed by the remaining butter. 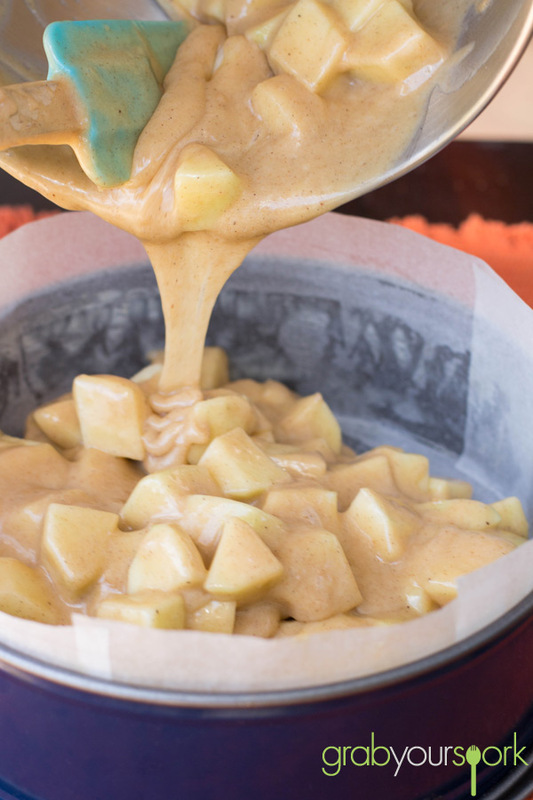 Fold the apples into the batter and transfer the batter-covered apples to the already prepared pan. Set the springform pan on a baking sheet and bake until the centre of the cake is set and a tester comes out clean. Mine took approximately 1 hour, 5 minutes, however, baking times are likely to vary based on the size and moisture content of your apples to be sure to keep an eye on your cake.